Today, we take a look at the industry leader in advisory services for financial institutions. For the last 15 years, Novantas has worked with 80% of the world’s largest global banks, payment networks, wealth managers, and other financial institutions. Novantas operates in North America, Europe, Australia and Latin America, providing information, analyses, and automated solutions that enable clients to improve revenue generation. In recent years, Novantas has rapidly expanded its technology offerings, including this year’s PriceTek Deposit solutions, a flagship product that reached $3.2T deposits in Q1 2018. While working with Booz Allen Hamilton, Bain, and First Manhattan Consulting Group, a group of practice leaders and consultants were itching to try something new. They were finding that the traditional consulting group-think model was not quite hitting the mark for many of their clients, particularly in financial services. As a result, they decreased the size of teams that served under a Managing Director, sought out consultants who could also be developed as industry experts in finance, and created Novantas to fill a defined gap. Since its founding in 1999, Novantas has grown to 250+ employees and remains focused solely on the financial industry. In June 2016, the company acquired Chicago-based firm Treasury Strategies, the leading treasury consulting firm for many of North America’s largest commercial banks and corporations. This acquisition expanded the Novantas portfolio and strengthened its position as the leading revenue management company in the financial community. The firm has been ranked by global market intelligence firm, IDC, as one of the Top 100 FinTech firms – 7 years in a row. Novantas defines its approach as “customer science”. Through a relationship between consultants, product managers, and engineers, the firm defines, builds, manages, and measures everything related to revenue-generating capabilities for financial institutions. Novantas continues to delivers top-ranked advisory services as well as technology solutions to the financial community including bank executives, commercial and corporate banks, and wealth managers. It has established proprietary platforms that serve as the underbelly of its service delivery. These include PriceTek®, StrataScape®, SalesScape™, and BankChoice Monitor®, to name a few. The increase of digital technology in the banking space is keeping demand high for Novantas’ subscription-based solutions, and the changing patterns of consumers are keeping project-based advisory services in full swing. Novantas attributes its steady growth in light of unpredictable markets on the strength of its two overall service lines. Novantas Managing Directors oversee teams of just 3-5 people, smaller than most firms. Managing Directors are not just consultants, but according to the firm, industry scientists. They know, breathe, eat, and sleep financial services. If you get excited about the financial services sector, Novantas is the place to be – and they will keep you busy. Round 0 – You may be contacted first by HR for a phone screen if you did not apply through your school. 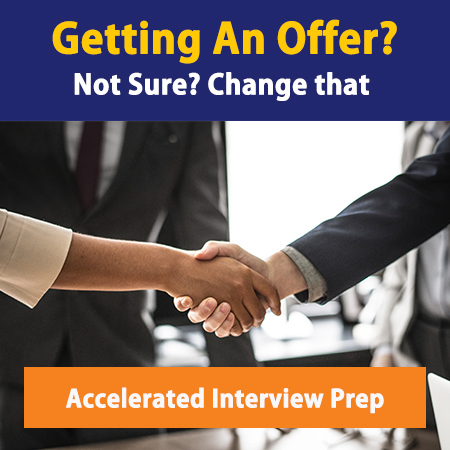 Round 1 – The first step in the interview process includes two 30-minute on-campus interviews (for students), or a phone interview for employee referrals who cannot be interviewed in one of the offices. Both include behavioral and case questions (be sure you know to answer the “Why Consulting?” question. You might also get a brain teaser). There may be a few minutes to ask any questions at the end, but most of your questions really should have been asked during the networking process. Round 2 – Next comes an invite to the Novantas office for three, 45-minute in-person interviews. Each will include a behavioral question and then a case or brainteaser. For those abroad during the interview process, Skype interviews are conducted for this round (however, sponsorship is not provided for international hires). Lunch may also be involved – the firm uses this experience as an extra behavioral interview. Although the firm is looking for candidates with the potential to become thought-leaders, Novantas doesn’t expect you to come in with a specialized knowledge of the financial industry. Instead, the case interview is designed to test how you think around it. The brainteasers may be specific and cases may be open-ended – both for the purpose of hearing your thought process out loud. Cases will most likely be related to commercial banks (the majority of their clients) and involve market sizing, pricing strategy, customer segmentation, and pricing questions. Especially for students applying through their school, the turnaround time from application to first interview is quick. If you’re even thinking of applying for Novatas, begin to prep now for the fit interviews by grabbing some 1:1 sessions with our ex-MBB coaches here. Looking for help with the brain teasers? You need our extensive MC Consulting Case Bank. Analyst or Associate is the typical entry point for those with a Bachelor’s degree in a quantitative field. It would be wise to ensure your resume reflects experience with statistical analysis packages, online survey research platforms, and advanced Excel skills. Work with us to create a tailored resume for Novantas. You’ll enter in at the Manager level after 3-6 years of professional experience in the relevant industries. What sets Novantas apart is that creative strategists can jump in at the Principal level with only a Bachelor’s degree and 6-9 years of related experience. As Novantas is a niche firm, each consultant quickly becomes a SME (subject matter expert), and promotion is based on employee readiness, not job openings. 3-Month Mastery is a great tool for those looking to join Novantas and hit the ground running on Day 1. As for internships, Novantas hires “Summer Associates” from its target undergrad schools. Intern pay is generally on par with other boutique advisory firms; see our full 2018 Consulting Salaries report here. Novantas employees exit with strong technical skills and expert knowledge in one industry. If your ultimate goal is MBB or corporate strategy, Novantas may not be the place for you, as you won’t get the broad industry exposure you would at other generalist boutiques. However, if you know that financial services is your life calling, Novantas gives you a great brand name, and even better experience, to exit into the financial services industry. Managing Directors of Novantas have gone on to become VPs and Partners at accounting firms and big banks. Novantas has a reputation for being innovative and challenging. But what do consultants say first hand about their experience? The overarching feedback we’ve heard is that if you’re a self-starter, the sky’s the limit for you at the firm. This can be both a pro and a con, as we’ll discover. Boutique or not, Novantas offers excellent opportunities on incredible projects, albeit with limited industry exposure. Due to its small size, there are not the same support services available as at larger firms, and the fast-paced culture magnifies this reality – you’ll work hard and long hours. Regardless of the firm’s flexible work from home allowance and endless sick and personal days (a great benefit), turnover is still high, and your grit and perseverance should match your brilliance if you choose to accept an offer from Novantas. You can, however, expect to work with a team of independent learners. The firm looks for holy grail candidates who are strong both quantitatively and qualitatively – technically savvy and client-ready. Novantas is a great place to utilize and solidify your technical skills, but ongoing training is limited. Still, the firm does boast a rapid-growth environment, constant collaboration, innovative spirit, and tight-knit community. The firm has had a historical reputation of offering weak benefits (although strong compensation), but there have been significant improvements to these offerings in the last five years. While still not comparable to industry leaders, Novantas benefits include a nice bonus (considering the firm is doing well), health insurance (with an HSA to offset a high deductible), and 401K with employer match (up to 6%). Lastly, consultants rave about the experience of working with such smart people, but don’t expect to attend many firm or even practice-wide team building events. If you’re banking on making new friends in a new city, you’ll have to be really intentional about building connection outside of the office. Don’t attend a target school? Have no fear; we can help! Reach out today! Novantas is hosting its first webinar in the Spring of 2018 specifically highlighting the Women of Commercial Banking and Treasury Management. While the firm is actively structuring diversity initiatives, there are no diversity groups present in the firm at this time. IDC Financial Insights – FinTech Top 100 (2011 – 2017). Cloudera Data Impact Awards – Top 5 in the Consumer Insights Category (2017).